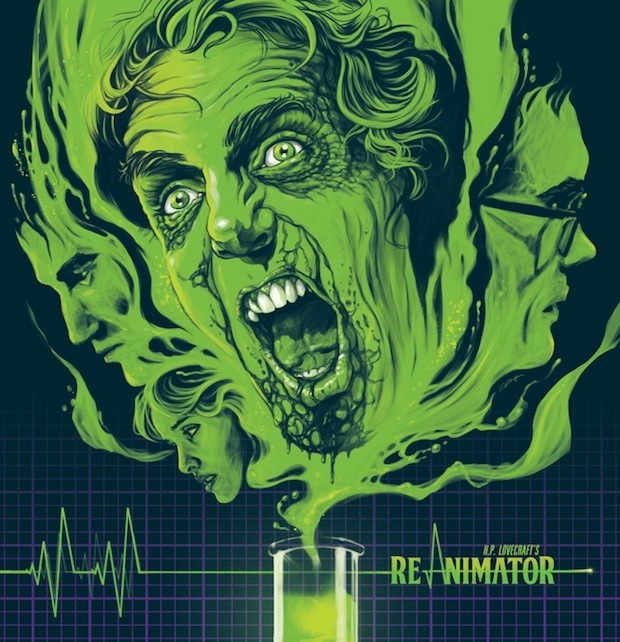 Waxwork Records is dropping its first release on July 30, and it’s absolutely gorgeous — a limited edition vinyl pressing of Richard Band’s score from Stuart Gordon’s 1985 cult classic Re-Animator, featuring full LP artwork by the brilliant Ghoulish Gary Pullin! Can’t complain about that! Pre-orders start today, June 3, over at their site Waxwork Records so just give that a click if you’re interested in picking up this bad boy. Check out the artwork, it’s a beauty! Thanks man! If you get a sec, check out the art of horror page and look at more of Pullin’s work. It’s all amazing!